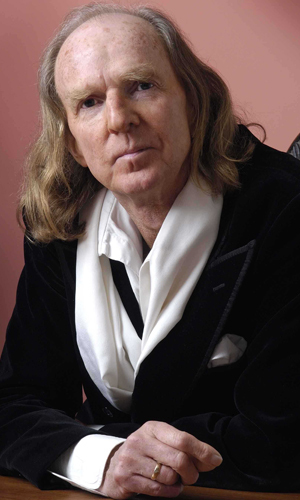 Tavener's musical education took place against a modernist backdrop, and the first work that brought him to widespread attention, The Whale (1966), was premiered in 1968 by the London Sinfonietta at their inaugural concert and released on The Beatles' Apple Records. As the years progressed his music became increasingly spiritual in conception, contemplative in its idiom, and popular with audiences worldwide. Brought up in the Scottish Presbyterian Church, interested in the Catholic faith, he settled in the Orthodox Church in 1977, a major inspiration for his work for the following two decades. From the late 1990s he looked for inspiration from alternative sources by his broad interest in the great religions, embracing Hinduism, Judaism, Christianity, Islam and the spirituality of the American Indians. After a period of intense illness, he was also inspired by the works of Tolstoy, Shakespeare, the English Poets and Dante. Tavener's work is often intensely beautiful, and often awe-inspiring. His drive to express beauty and truth through music was lifelong, and led him through understandings of many religions and ideologies to produce a unique body of work.